Two women. One mysterious relic. Separated by centuries. Nicola Marter was born with a gift so rare and dangerous, she keeps it buried deep. When she encounters a desperate woman trying to sell a small wooden carving called ?The Firebird, ? claiming it belonged to Russia's Empress Catherine, it's a problem. There's no proof. But Nicola's held the object. She knows the woman is telling the truth. Beloved by listeners as varied and adventurous as her novels, you will never forget spending time in New York Times and USA Today bestselling author Susanna Kearsley's world. This reader has a confession to make. I didn't want to read this book. Gasp! Romance? Time travel? Psychic abilities? Those topics are out of my comfort zone, to put it mildly. Imagine my utter surprise when I cracked this open and actually LIKED IT. Now wait, before you think I've gone ga-ga for romance let me set you straight. I could have lived without the modern love story. On the other hand, the historical relationship made me feel all swoon-y and sigh-y. Speaking of the historical sections? The author nailed it. The research must have been intense. Kearsley doesn't cut a single corner. Historical fiction turns my crank. This one was spinning it! 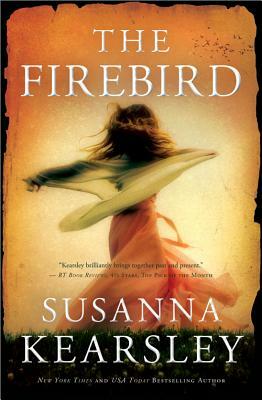 The Firebird is the 2nd book in a series but absolutely works as a stand-alone read. Hints to the past history of the characters helped with that. I could tell there was more to the story. But it wasn't irritating or distracting. I judged this book before I opened it and I was flat out mistaken. There's a lesson in there don't you think? I was wrong about you Firebird! Forgive me? As a former museum curator, Susanna Kearsley brings her own passion for research and travel to her novels, weaving modern-day and historical intrigue. She won the prestigious Catherine Cookson Fiction Award for her novel Mariana, the 2010 Romantic Times Book Reviews Reviewer's Choice Award for Best Historical Fiction novel for The Winter Sea, was shortlisted for a 2012 RITA Award for The Rose Garden, and was a finalist for the Arthur Ellis Award for Best Novel from the Canadian Crime Writer’s Association for Every Secret Thing. She lives outside Toronto, Canada. Sometimes books can surprise us! I love Kearsley's books. I was so glad to be surprised :D She is a fantastic writer! Surprise - it's NOT part of a series. It is simply a companion book, so nothing is lost or gained by reading one without the other! Did you check out her website? If you want to know how much research she did, just check it out. She even has pictures of all of the sites mentioned in the book. Phenomenal. Ohhh! Ok, that makes a lot more sense! Thanks for that tidbit Michelle! I'm going to have really explore her site. You can tell that her research was crazy thorough! I looove that. Thanks Diana :) I'll have to hop over and check out your review! I've read a couple of Kearsley's books and enjoyed them. I'm going to have to pick this one up- I'm a sucker for a time travel romance. I've only read one of Kearsley's novels - The Rose Garden? - not sure if that's the title. It was okay, but I had some plotting problems and didn't enjoy the lovey parts so much. However, I enjoyed the history aspect as well and know how much other bloggers love her stuff so I'm willing to give her another shot! It's nice to know it stands alone! And very well at that! This is almost my exact reaction to this book. My review will be going up later today, but I also will be admitting that The Firebird was a pleasant surprise for me. Even the modern day romance in the book was pretty romantic and not very cheesy. Anyway, I need to save my thoughts for my review. Haha! Ha! Now I can't wait to read your review Heather! I can understand your reluctance picking up this book. I had the same with my first Susanna Kearsley but I really love her style. It is always nice when you get to enjoy a book you did not think you would! Isn't it?? It was such a wonderful surprise! I saw Kearsley do a panel at the historical fiction conference I was just at, and she uses genealogy as her research for her fictional characters (gives them real life relatives, etc). It is insane -- no wonder her books are so loved. She obviously takes her research seriously! I appreciate that SO much! I'm not opposed to a little romance sometimes. I might have to give this go! Based on the description, this doesn't seem like a book I would be thrilled to read, either. I'm glad you liked it, though! This is a great reminder that you can't judge a book by its cover... blurb. Ha ha, exactly Leah! I was grumpy about starting it, for real. Whew, glad I was wrong! Go you for jumping outside your comfort zone! This sounds like something I'd dig. My feet were dragging, believe me ;) I'm so glad it turned out to be something I liked. This is a really intriguing book, I could see it going either way, whether I'd like it or not. I may have to give it a try. 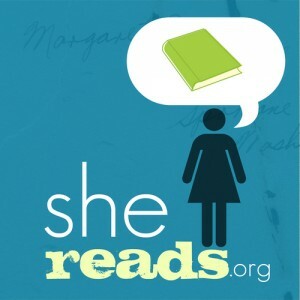 This taught me a lesson about stepping out of my reading box, that's for sure. I really enjoy most historical fiction too. Thanks for stopping by Sophie!! I have heard so much about this author but haven't yet read a book by her. I have to change that! Glad that you enjoyed this one more than you expected to. I forgive you. Actually, it's kind of funny since we chatted about this before and I was all "give it a chance" and you were all "no thank you" and then look at what happened! You enjoyed it, but I didn't! Sometimes that's life! I love it when a book proves me wrong like that. Any time we realize that there is more out there for us to love is a good thing, no? Also, your gifs are great! I've been wanting to read one of her books. I think I even have one on my Nook! lol. Glad you liked it so much. I'm really looking forward to exploring more of her books :) Thanks, me too! Well, then .. I've been thinking pretty much the same thing about this one. Perhaps I'll have to give it a chance as well. I guess we never really know what will work for us ;) There are a few genres that I wouldn't bother with but I'm so glad I gave this one a try! I really need to make the rounds of other SheReads members to see what they thought! I hate romance, but I'm willing to step outside my comfort zone once in a while. Glad to hear you liked this! Romance usually has me rolling my eyes as well ;) Unless it's done VERY well, which seems very hard to find. I can't wait to read this one! And the one that comes before it. I loved the one Kearsley I read. Like you, I wasn't sure I would--mostly romance? Me? No way. I ended up loving it. Damn, this review is the opposite of another review I just read for it, lol! It SOUNDS good though. I didn't realize it's part of a series either, I'd have to start at the beginning because I'm neurotic like that. LOL, all of those things can totally go wrong! But they didn't in this one, at least for me. Her research would knock your socks off Leslie. You can tell she takes it VERY seriously! I'm glad you liked it! I agree with you - I liked the historical relationship(s) much more than the modern day one. And I had a bit of a crush on Captn Jamieson and did not see *that coming! I almost always like this historical settings more when I read something like this. I don't know why exactly. Hmm. Wonderful review, Jennifer. Don't you love it when a book defies your expectations by being better than you thought it would be? I'm really glad you enjoyed this, and I definitely want to read it. Kearsley has been on my I-really-want-to-read-her-but-other-books-keep-getting-in-the-way list for far too long. Somehow, I've got to find a way to fit at least one of her books in by the end of the year. Thank you! Yes! I DO love that. I'm so glad that I read this. I hope you'll find time for something by her soon. She has a great style. Nice to have good surprises, isn't it? I like historical novels myself. You sound like you had a fulfilling week of reading. And yes, your review had me move The Firebird further up on my wishlist :). I have only read one book by Kearsley, but remember enjoying it greatly. Thanks for the tip and enjoy your week of reading. I really did, thanks! I'm glad you've moved this one up, it's a great read Rita! I so LOVE this review .. the .gifs work so well to make your points. I'm with you; not really into romance, but definitely into historical fiction! I think this one goes on the to-buy list! Thanks so much Julie! :D This was a great read!